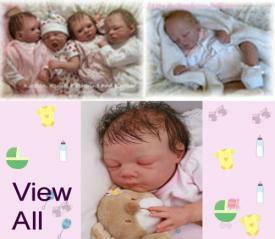 This is a variety of lovely Doll Kits waiting for your talent to bring them to life. These doll kits consist of a very soft viny head,limbs and plugs. 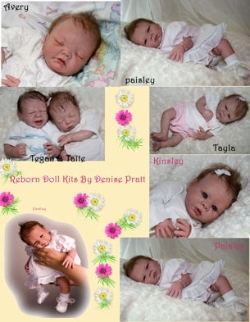 This is a list of doll Kits by Renouned Artist Denise Pratt. All of the listed doll kits come unassembled and unpainted. Eyes and bodies are not included and are sold seperatly. 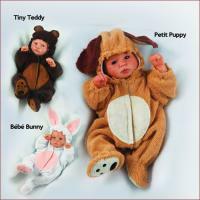 Clothing for 12' to 15"
These outfits will fit the 12 inch reborn doll kits as well as the 15 inch quadruplets.